Soda is nothing less than an American institution. It pops up everywhere, from Norman Rockwell paintings to the Olympics. Why? It just tastes so damn good, and almost every American, whether they drink it or not, would agree. What they might not agree on, however, is what particular soda brand is the best. Back in the day, soft-drink companies often started as small businesses, forced to limit distribution to their home states or regions. And even today, in an era littered with thousands upon thousands of beverage options, loyal soda fanatics still pine after these fizzy babies. They go to great lengths to hunt down their favorites, calling up obscure grocery stores and scrolling through endless eBay listings just to get their hands on a little taste of home. From NuGrape to Faygo, these are all of America's regional refreshers worth their weight in food coloring. Not even 1917's national WWI-induced sugar shortage could deter L.D. Peeler from introducing America to his prized Cheerwine, the world's first bottled cherry soda. And nearly a century later, the family-owned "Nectar of North Carolina" is still staining the lips and warming the hearts of Dixie's most devoted soda lovers. 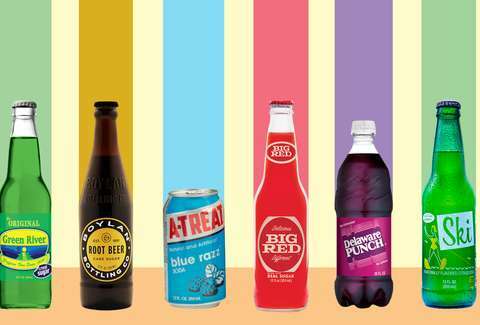 No joke, Southerners are obsessed with the fizzy red pop, drumming up Cheerwine-drenched recipes for everything from barbecue sauces and salad dressings to cakes and ice cream. Originally called Sun Tang Red Cream Soda, Texas favorite Big Red dates back to 1937 and bears the distinction of being the first red-hued cream soda in history -- and is it ever red. The neon-crimson soft drink has a taste all its own, a mix of citrus and vanilla that comes out strangely Bazooka-like. In recent years, the Big guys have added a few other fruity sodas to the Big Red line, but true cowpokes know the OG red stuff is still where it's at. 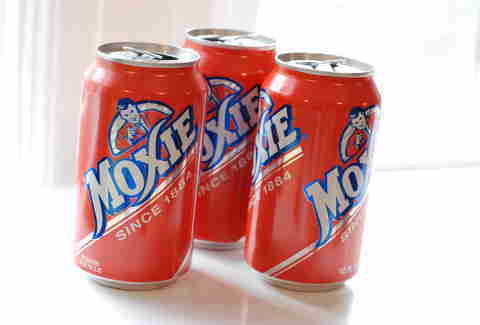 Maine straight-up designated Moxie its official soft drink, despite it being invented in Massachusetts in 1876, making it the oldest continually produced soda in the US. To call it an acquired taste is an understatement. It's bitter. It tastes like cough syrup. Some say tar, kind of like Turkish Delight candies. But there's a sweetness behind it, making the carbonation-based burps a sensory explosion. If it were booze, some might say it was fernet, which is a good thing. Some might say Malort, which is not. But once you get a taste for it, you'll find yourself seeking it at every specialty soda shop you come across for the rest of your life. Grapey grapetastic NuGrape is a super-sweet, dark-purple concoction that's enjoyed a strong, devoted Southern following since its 1906 inception in Atlanta, Georgia. In addition to being a delicious beverage (grape soda = woefully underrated), NuGrape's website has this feature where you can draw all over the page with virtual crayons, kind of like those paper tablecloths at chain restaurants but, you know, online. So that's cool. Ale-8-One holds the title of being Kentucky's only native soft drink still in existence but if you've never heard of it, you're not alone. 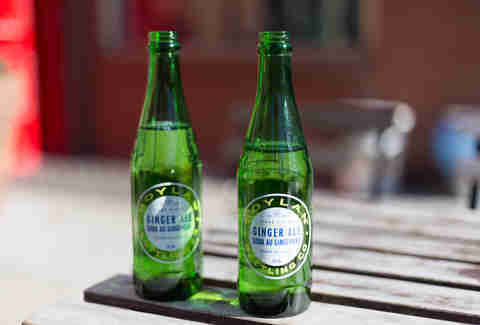 You'd be hard-pressed to find a single longneck of the gingery, citrusy elixir being hawked outside the Upland South, and for good reason. The 90-year-old soda sets itself apart with a top-secret, famously sharp flavor profile (rumor has it only two execs know the recipe), soft carbonation, and a light, less sugary, and naturally less caloric body. It also packs a full 37mg of caffeine into each 12oz pour -- that's about 3mg more than a trusty Coke Classic and just enough to fuel a long day playing the ponies. The folks at Boylan sure know the way into a Northeasterner's heart: quality, aesthetics, and history. New Jersey's 125-year-old pop pride and joy is famous for its toned-down, old-school bottles and straightforward cane sugar-sweetened flavors like black cherry, ginger ale, and root beer. Suffice it to say that a Boylan soda has never met an overstuffed sub (or hoagie, for that matter) it didn't like. The bottling champs also produce seltzers (so big right now) and a line of diet sodas far less icky than most. We'll be the first to admit that birch beer, one of Foxon Park's signature flavors, is an acquired taste. It looks like seltzer, smells like Mentos, and leaves behind a distinctive, lingering pepperiness that's been known to keep more than a few drinkers at bay. But, that's all to say that birch beer is amazing and anyone who doesn't think so is a moron (JK). Pair that ish with a Pepe's white clam pizza and you are in business, son. Other Foxon Park joints include orange (a classic), strawberry, and gassosa, a dryish, Italian lemon-limer straight from Sicily (by way of East Haven). Detroit's second-favorite soda (the first, Vernors, is now repping nationally) is forever doomed to be associated with the Dark Carnival. 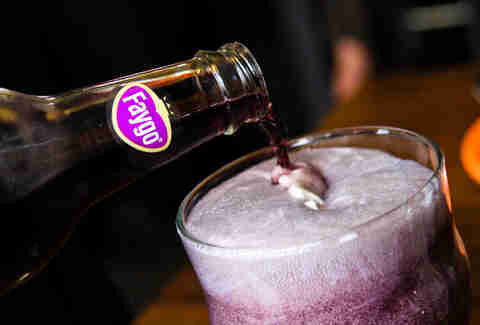 But Faygo's beloved throughout the Mitten, Juggalo paint or not. There are seemingly a bazillion flavors -- Redpop's the best, though black cherry, Rock N' Rye, Jazzin' Blues Berry, and the Ohana punches are no joke -- that essentially make it the go-to summer drink for staining your lips bright red while gazing at Great Lakes. Faygo can now be found inexplicably in bodegas and, weirdly, Ace Hardware stores… even behind the bars of Detroit-expat mixologists. That's not because they believe magnets qualify as miracles. It's because once you get a taste for Faygo, there are no substitutes. Before Red Bull, before Monster, even before Sparks ('member those?? ), there was Manhattan Special. It's weird, I'll give you non-New Yorkers that, but I'll be damned if it ain't special. Brooklyn's 111-year-old "Pure Espresso Coffee Soda" is brewed with real coffee beans and cane sugar, balancing its syrupy sweetness with a strong, bitter backbone and healthy dose of eye lid-snapping caffeine. This might be the most grown-up soda on the market, and for that, we love it. 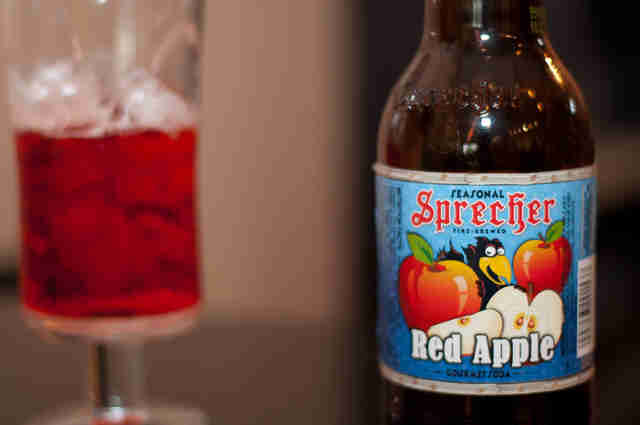 Suburban Milwaukee's Sprecher specializes in German and American beers, but it's also beloved for its fire-brewed root beer, plus grape, red apple, cherry cola, Cherry-Cran, and an Orange Dream that might just be the best in the country, with respect to Stewart's. It's been a trailblazer on the artisanal soda circuit for three decades, a brewery that's more renowned for its non-alcoholic beverages than its boozy ones… but if you want to combine the two, there's also a barrel-aged boozy root beer. Careful. This one truly has bite. Despite a truly bizarre, super-effed-up 1991 smear campaign to keep them it from expanding into New York City, Lehigh Valley's favorite pop has somehow managed to stay both afloat and proudly regional since 1918. The beloved canned operation puts out approx. 1 billion different flavors at this point, including blue raspberry, birch beer (yup, that old guy), something strangely delicious called "Champagne Kola," fruit punch, grapefruit, pineapple, and every grandpa's go-to, sarsaparilla, as well as a few mixers and a bunch of diets. Stay strong, A-Treat, the soda world needs you. These days, Delaware Punch is so hard to find that it's virtually extinct, but that doesn't stop its devoted fanbase from trawling dusty convenience stores and tiny burger joints all over Louisiana and Southeast Texas in search of the treasured grape soda. It's extra, extra sweet, the color of a darkened, tornado-plagued sky, and, oddly enough, purposely bubble-free, but still somehow manages to be amazing. Want a sip? Peep its Facebook page for the latest on the hunt for the Punch. 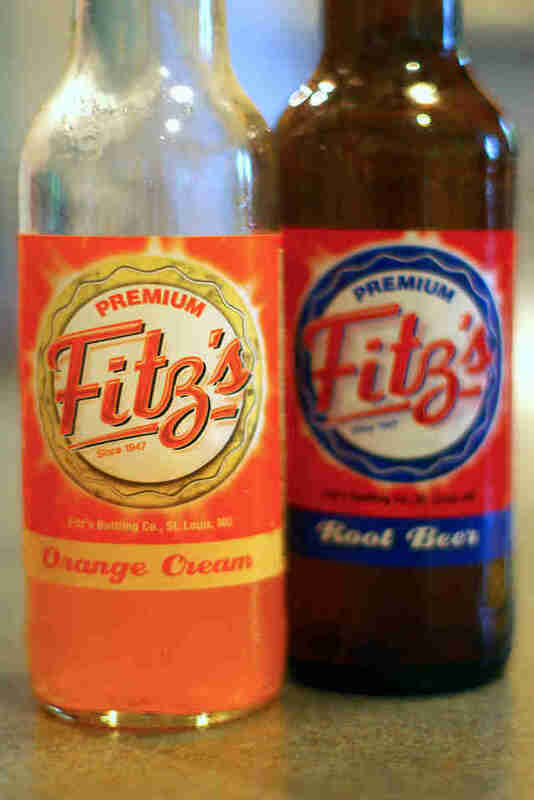 For kids growing up in St. Louis, a trip to Fitz's was the ultimate reward. All A's this semester? It's Fitz's for dinner. Haven't punched your brother in the kisser for five straight days? That'll be two root beer floats, please, and a sixer for the road. Opened in 1993, the Delmar Loop family restaurant-turned-root beer superstar is known statewide for cranking out the absolute finest root beer the Midwest has ever encountered. Pour it over a scoop of fluffy vanilla ice cream and something truly magical occurs inside that frosty mug. Fitz's has since added cream soda and orange to its pop empire, but there's simply nothing like the crisp, light, beautifully spiced original. No city in the country was more affected by Prohibition than Chicago. Not only did the Windy City become a hotbed for all things organized crime, it also birthed a soft drink so blindingly fluorescent, so bitingly tart, and so syrupy sweet that it could only be named after the city's notoriously murky waterway: Green River. The century-old, screamin'-green pop stands alongside the likes of Al Capone, Mayor Daley, and every SNL cast ever as a true Chicago icon (especially in the weeks leading up to St. Patrick's Day when sales apparently skyrocket into oblivion). Tennessee's Ski came out of America's 1950s soda boom and went on to become the country's No. 1 all-time best-selling citrus-flavored soda, carving out its rightful place in our country's esteemed history forever and ever, amen. OK, fine, all of that is completely untrue, but if you've ever tasted the gorgeous lemon-orange fizz, you'll instantly understand why I made all that up. 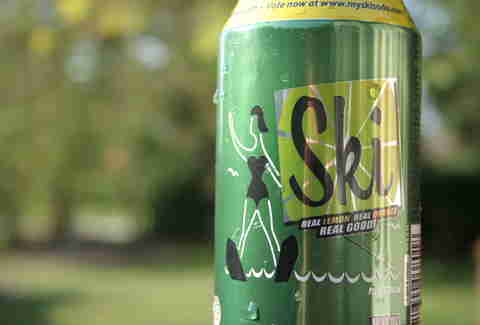 Ski is like Sprite if Sprite never decided J. Cole was a "legend," Squirt if Squirt had somehow avoided the awful name "Squirt," Sierra Mist if it never even existed because good grief, that stuff is nasty. 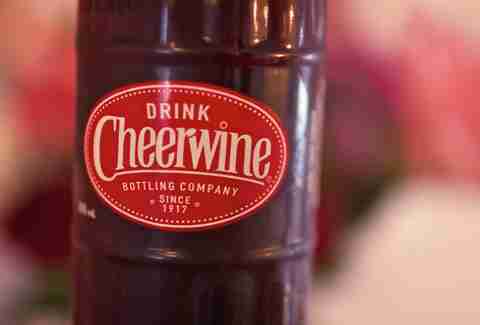 It's simply the world's most splendid soft drink and the South is infinitely lucky to have it. Meredith Heil is a staff writer for Thrillist. Minute Man and Big Red could outlast ya. Who is the best? She don't have to ask ya. It's poppin' off @mereditto.